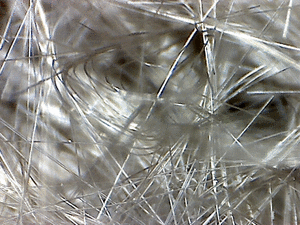 In the product group of the high temperature insulation products, SILOBAS® is classified in the area between SILOMAT® and ASGLASIL®.The basis of this mechanically hardened needle mat is a special high-temperature fiber that allows a range of temperature of 750°C. SILOBAS® can be manufactured in thicknesses from 6 to 25mm as well as in different densities. Needlemat with aluminum cover or self adhesive equipment are available on customer request. For more information, please contact our customer consultant.